Dr. Zavoyski has specialized training in both computer assisted and robotic assisted replacements. 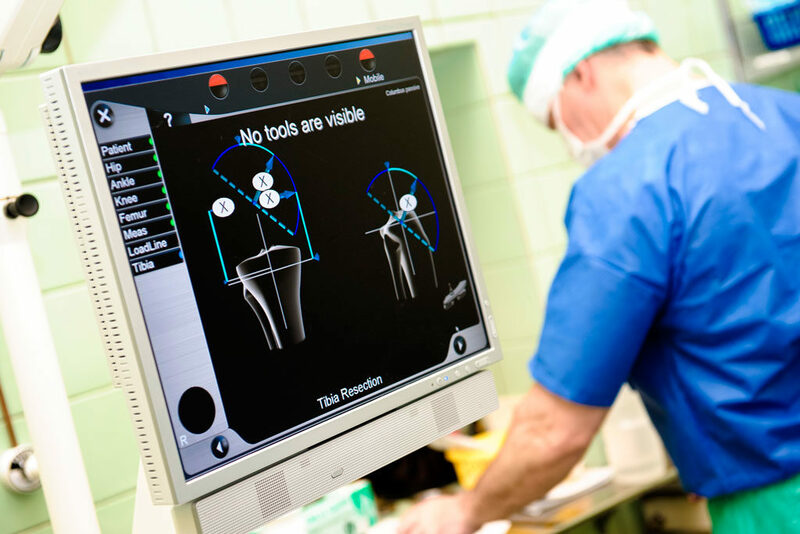 Computer assisted total knee replacements can possibly improve the positioning of the metal components and utilizes specialized technology align the prosthesis. It is felt that an appropriately placed knee replacement will last longer than one placed in a suboptimal position. Dr. Zavoyski is also able to perform robotic assisted partial knee replacements. The robotic arm will assist in making the proper resections needed to place the metal prosthetic parts in an optimal position. For more information on robotic assisted surgery please visit the partial knee replacement section.